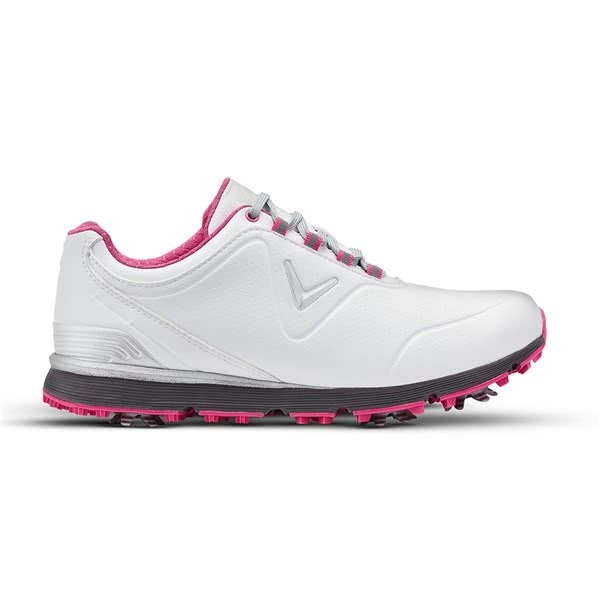 The Callaway ladies Mulligan golf shoes feature a soft athletic style microfibre upper that is designed to provide instant and long-lasting comfort. The upper is highly waterproof to cope with whatever weather you encounter during your round of golf. An Opti-vent mesh liner has been used to provide the necessary breathability and heat management to give you a comfortable round of golf. 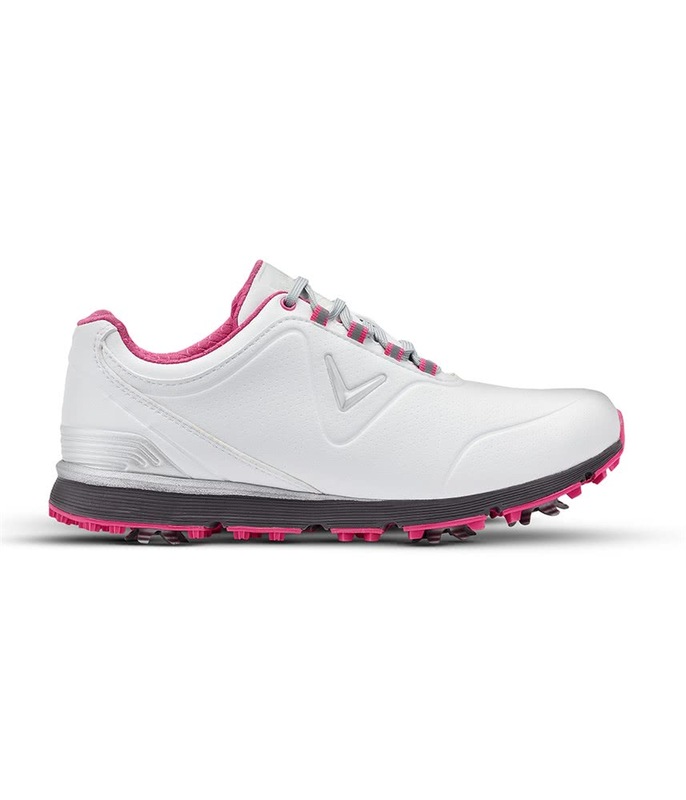 Callaway have used their comfort insert and Opti-soft EVA midsole to deliver incredible cushioning and reduce foot fatigue. A combination of a 6-cleat configuration and multi rubber lugs provide excellent grip, stability and traction on all types of underfoot conditions.